2017 has been a productive year for Sigelei. With varied and bold designs across all product categories. The Great Wall (GW) 257W Kit is their final creation for this year and its futuristic aesthetic certainly draws one’s attention. Ecig manufacturers have been leaning towards more adaptable designs in recent months. For this reason, it is not uncommon to see newer vape kits supporting various battery sizes and multiple battery setups. iJoy was the first brand to utilize 21700 cells to reach higher powers with many other companies since following suit. 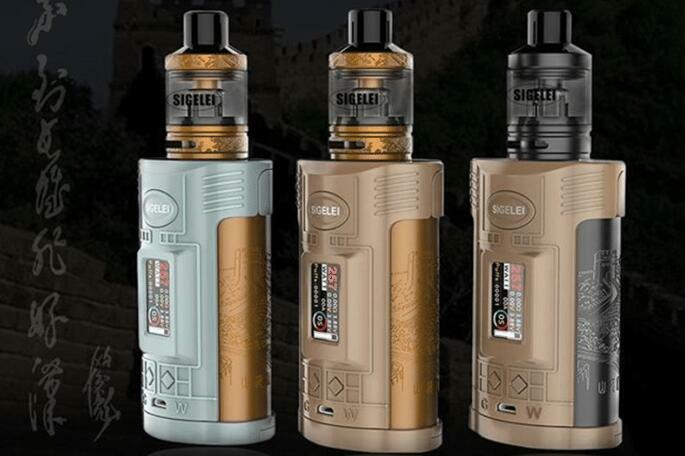 Sigelei continues this trend with the GW 157 W Box Mod that easily accommodates either dual 21700, 20700 or 18650 cells. At maximum power, users can expect a top power output of 257 Watts, which is more than sufficient to chuck clouds ad nauseum. 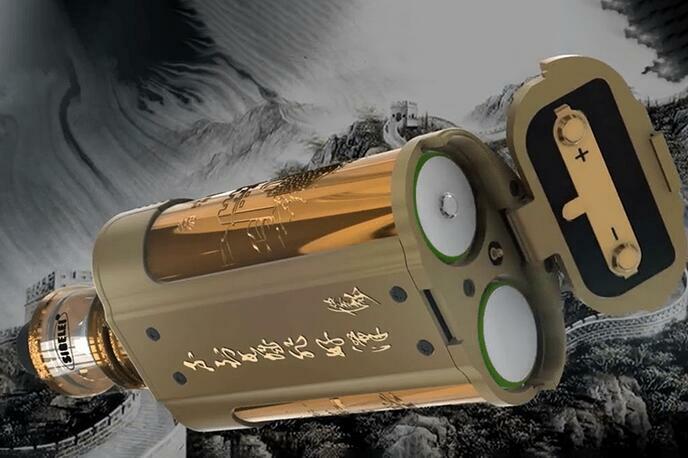 Constructed out of sturdy zinc alloy material, the mod features beautiful Chinese characters on the outer battery tubes as well as a prominent, full color, TFT screen. Visually speaking, these elements give the mod a distinctly otherworldly twist that has an almost reminiscent of something out of the “Star Wars” franchise. 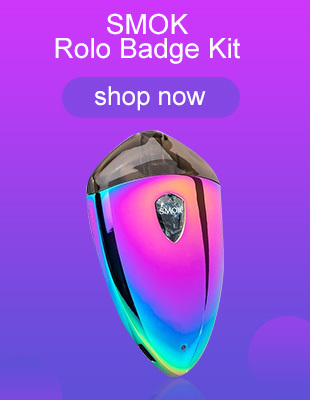 Now you can vape your way…. all day long! Other functional features include a vertical oriented menu display, various operating modes and an impressive fast, 2.5-Amp quick charging capability. A micro USB port also offers onboard charging of the installed cells – which is a great added benefit that minimizes down time! The paired F tank adopts the same visual stylings of the main body, utilizing 0.2 Ohm pre-made coils rated for use at higher wattage levels. The tank itself accommodates 4.5 mL of ejuice and includes bottom AFC for additional customization. Overall, the Sigelei 257 W Kit is remarkable enough to warrant a second look and is likely to be a great performer. And if you happen to be a Star Trek or Star Wars lover, this model will be right at home in your collection!